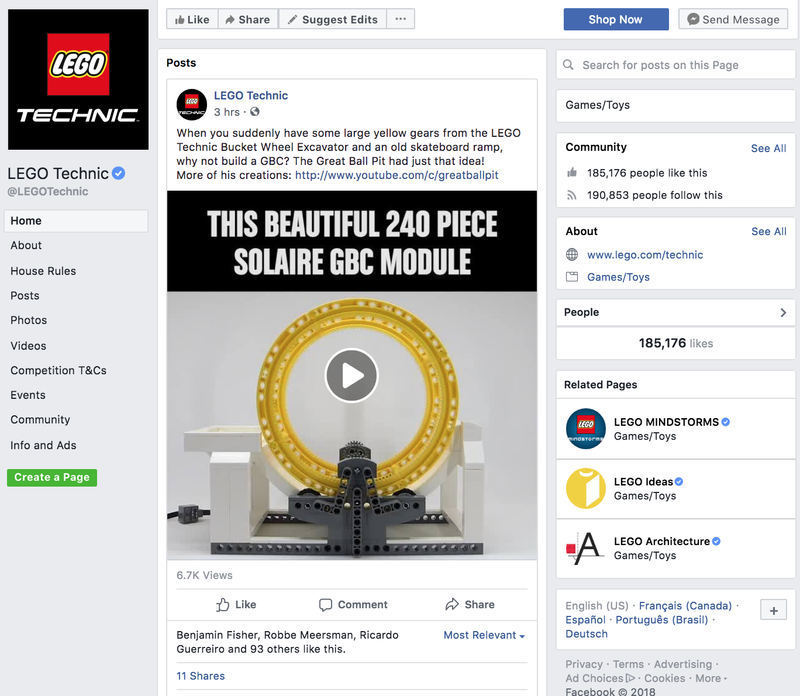 Today I was featured on the Lego Groups official Lego Technic facebook page! It's been in the works for a few months now, and I couldn't be happier now that it's happened! Not many AFOL builders get contacted by Lego for a feature so this is really special! When I started this website and YouTube channel, I never expected to meet and collaborate with so many interesting people from all over the world. I'm also really happy that Lego continues to recognize Lego Great Ball Contraptions as a legitimate sub-theme. I'm looking forward to debuting my Interactive Lego Boost GBC @ BrickCon 2018 in October so let's see if the Lego BOOST team is watching out for GBC as well! Oh wow with my crazy schedule lately I missed this post when it happened, but that's a huge honor. Congrats Matt!